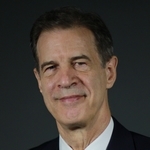 William H. Overholt is President Elect of Fung Global Institute. He has been a Senior Fellow at Harvard University since 2008 and Senior Fellow at the Fung Global Institute since 2012. Previously he held the Asia Policy Distinguished Research Chair at RAND’s California headquarters and was Director of the Center for Asia Pacific Policy. During 21 years in investment banking, he served as Head of Strategy and Economics at Nomura’s regional headquarters in Hong Kong from 1998 to 2001, and as Managing Director and Head of Research at Bank Boston’s regional headquarters in Singapore. During 18 years at Bankers Trust, he ran a country risk team in New York from 1980 to 1984, then was regional strategist and Asia research head based in Hong Kong from 1985 to 1998. At Hudson Institute from 1971 to 1979, Dr. Overholt directed studies for the U.S. Department of Defense, Department of State, National Security Council, National Aeronautics and Space Administration, and Council on International Economic Policy, along with strategic planning for corporations. Dr. Overholt is the author of six books, including Asia, America and the Transformation of Geopolitics (Cambridge University Press, 2007) The others are: The Rise of China (W.W. Norton, 1993); Political Risk (Euromoney, 1982); and (with William Ascher) Strategic Planning and Forecasting (John Wiley, 1983). He is principal co-author of: Asia’s Nuclear Future (Westview Press, 1976) and The Future of Brazil (Westview Press, 1978). Dr. Overholt received his B.A. from Harvard and Ph.D. from Yale.